Challenge Mode Noobs. I think we need to change that name to Challenge Month Noobs, lol. Whether it’s because someone’s out and we don’t have a full group to run CMs or just having frustrating weeks where we keep missing the silver timer, it seems like it takes a month before the CMN can scratch up a new medal. It was about a month ago that we got our last silver in Stormstout Brewery and a month before that, it was a silver in Scholomance. To keep that pattern going, we took on Scarlet Monastery on Saturday, which has been giving us issues for the past couple of weeks. We had another CMN line up change this weekend. 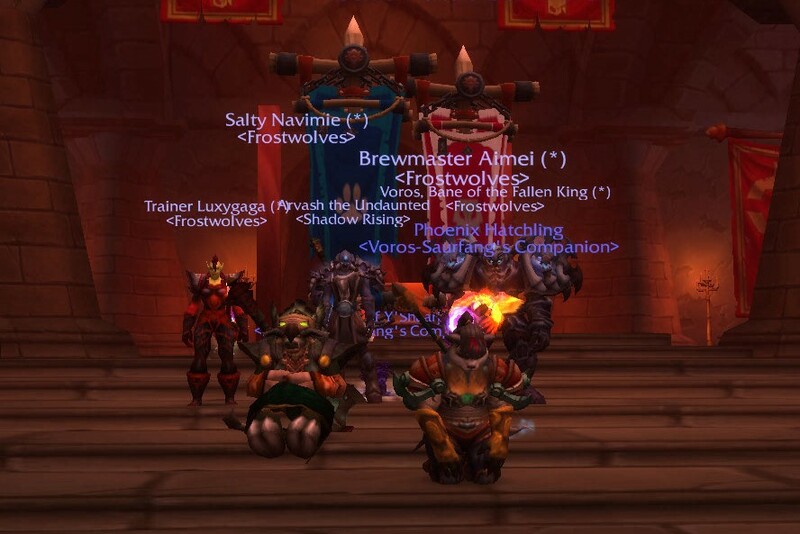 Voros, a DK and fellow Frostwolf, took Sev’s dps spot for our Scarlet run. He’s been running in our group lately and even helped Luxy, Lush, Navi and Sev get a silver in Gate of the Setting Sun, which I already had from an SR run a while back. I also didn’t something different that I had never done before in all of our CM runs…I actually went dps instead of tank! Yep, you heard that right, no tanking for me this time around. I’ve been running around the Timeless Isle and LFRs as Ret and having some fun with it that I decided to give the tank reins to Lush’s monk, Aimei, and try dpsing for a change. I specced into Repentance to give us another CC, instead of using Fist of Justice, which I use while tanking to get two stuns out every minute. As per CMN protocol, it took us a couple attempts and resets before we got that winning run in, we even managed to handle the trash after Thalnos the Soulrender perfectly, which had caused us so many issues before. 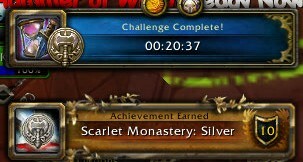 A handful of mobs and a Korloff, Durand and Whitemane kill later, we finally, finally had our silver. With that silver, that puts Navi, Luxy and I one more away from getting our Pandaren Phoenix mounts. Woo! So I had my first taste of Flex raiding yesterday as I was invited to one by Navi, Luxy and the rest of the Frostwolves. Navi told me prior that they had planned to do their guild Flex raiding on Sunday nights at 8:30 pm Aussie time…which meant 6:30 am my time. 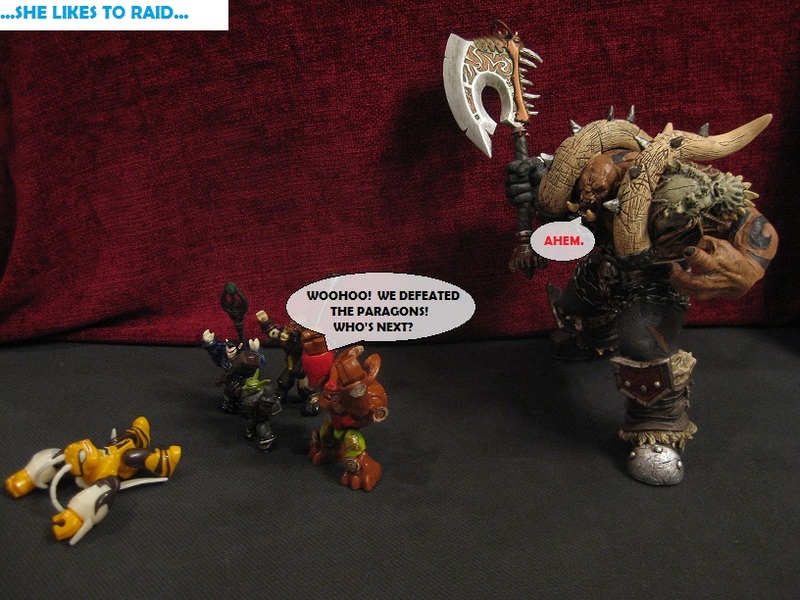 Yeah, I know, who the hell wants to raid that early in the morning, lol. But I wanted to give it a try and I’ve always wanted to raid current content with them. So I sucked it up and got myself up early to do it….although next time I’ll give myself a little more than three hours of sleep to prepare for it, lol. 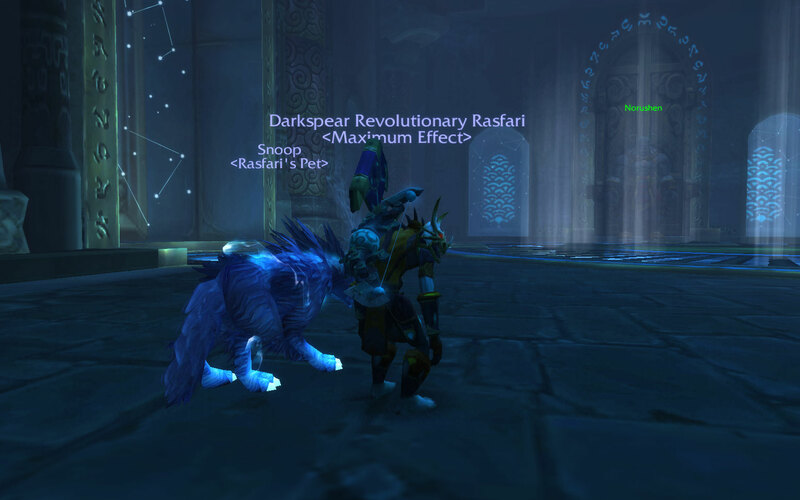 I had leveled up and maxed out a new Death Knight, Daemagor, in Navi’s guild on Saurfang last week and tried to gear him up as much as a I could. There is no ilvl restriction for flex raids and even though Navi said everyone needed to be at least ilvl 480, I wanted to push for the LFR minimum, which was ilvl 496. 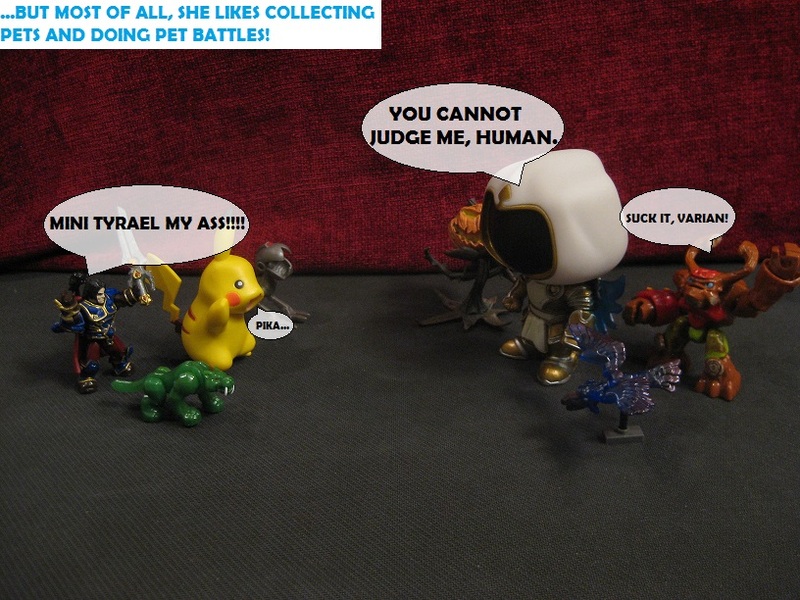 Anywho, 6:30 am/8:30 pm rolls around and Navi starts assembling the raid together. We get about 13 or 14 peeps on when she tells everyone to start heading to the instance. Ras was on the Timeless Isle, so I hearthed back to the Shrine for a short run to the Siege portal. After finally getting in, we headed towards Immerseus, clearing trash along the way. An epic ilvl 540 BOE item dropped from one of the puddles, which I didn’t know could happen in flex, but was cool nonetheless. 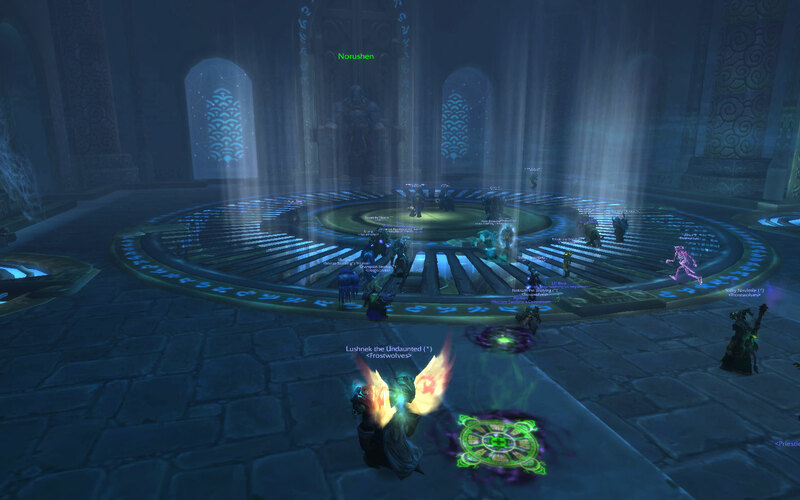 As the tanks were explaining the strat to those who didn’t know the fight, we started summoning others to the raid and got the raid up to 23 people, woo! I was a little concerned, though, as my PC doesn’t do well on graphics-heavy fights, like Elegon in LFR, where everything and everyone moves at a snail’s pace to me. But it turned out not be an issue for me for that fight and the rest of them we did. So we moved on to the Fallen Protectors, which went a lot better for me, no dying this time, lol. We did have a hiccup at the end of the fight where we didn’t kill all the Protectors at the same time within 10 seconds and they all healed up back to 20%. We pushed them back down, this time waiting until they got really low before taking them out. It only took us one attempt to do, so that was good. I’m hoping SR’s raid this week is just as easy, lol. Next up was the Norushen encounter, which isn’t a fight against him, per se, but more of a “cleaning up” fight, like Immerseus. I hadn’t seen the fight before, so tabbed out to quickly read about it. We put in a good handful of attempts, but we couldn’t get past this fight. The fight seemed to be a dps check of sorts, I’m not sure if not having enough raw dps was the issue or not having enough of the dps getting rid of their corruption fast enough, but our best attempt was 20% before we hit the enrage. Maybe we’ll get it next time. All in all, I had a fun time in my first flex raid. It was nice to sit back and just pew pew for a change, not having to worry about holding aggro, grabbing adds, tank swapping and all the other stressful tanky stuff. 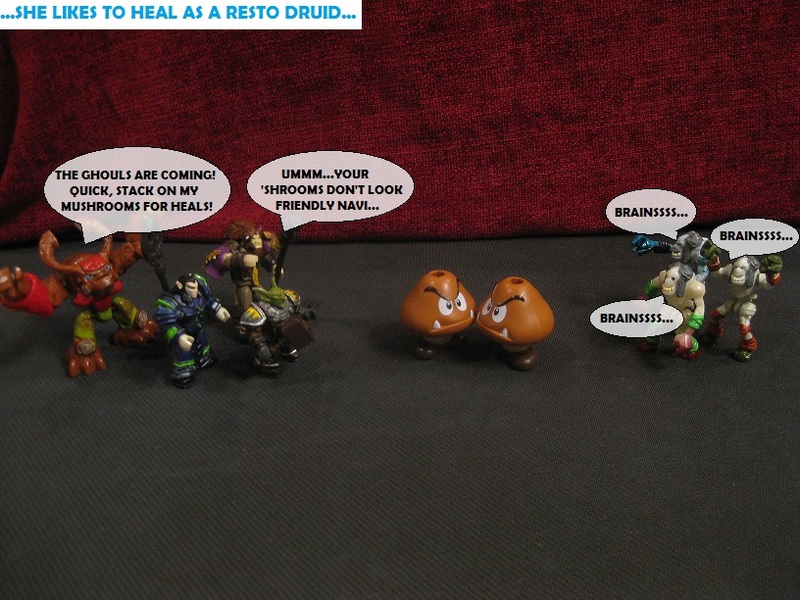 Thanks again to the Frostees for letting me join in their flex raid!